SAINT PETER, Minn. – After being named MIAC Goaltender of the Week earlier this week, Amanda DiNella (Sr., Oakbrook Terrace, Ill.) was named to the D3hockey.com team of the week today for her performance against UW-Eau Claire on Saturday. Although they were outshot 53-21 by the No. 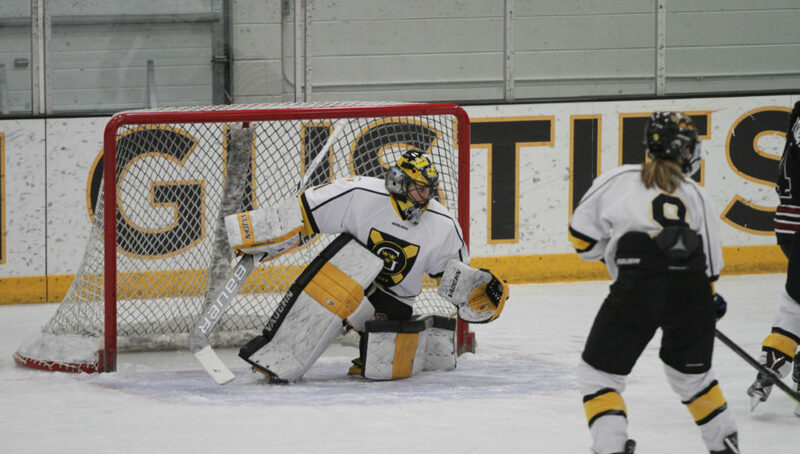 9 ranked Blugolds, the Gusties came away with a 2-2 tie thanks to the fantastic play in net from DiNella who had 51 saves and allowed just two goals for a save percentage of .962.